Too short to be called pants, but too long to be called shorts. What are they? They are spants! Or at least that’s what Urban Dictionary calls them. I bet there are a dozen terminologies used for this fashion staple. I, for one, like to call them long shorts. You know how annoying wearing short shorts can be. Sometimes, they ride up and bunch up between your thighs, and you have to awkwardly walk just to position them correctly. So, as much as I love short shorts, they just do nothing to maximize comfort on some days. This is where long shorts come into the picture. They are definitely more comfortable to wear. Plus, you don’t have to confine the lower part of your legs. They also have an old school charm that perfectly fits easy dressing! Caviar beading and geometric embroidery lend decadence to a pair of lightweight, 4-pocket spants. 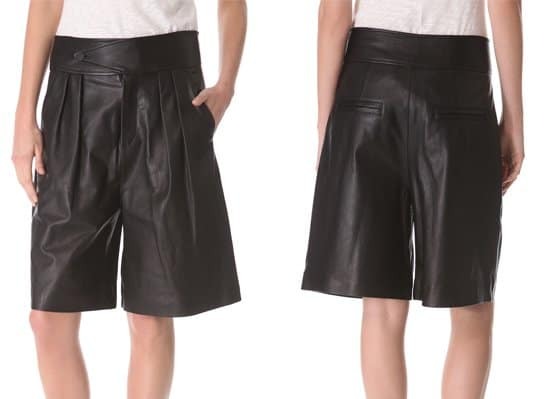 Rag & Bone puts a bold twist on shorts, cutting this oversized pair from soft leather and finishing the silhouette with structured knife pleats at the front. 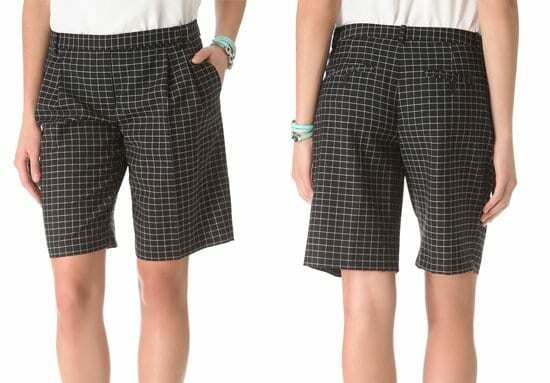 Slim stripes pattern a pair of long and lean 5-pocket shorts from Alice + Olivia featuring a wide, contrast waistband that offers a smooth and flattering fit. 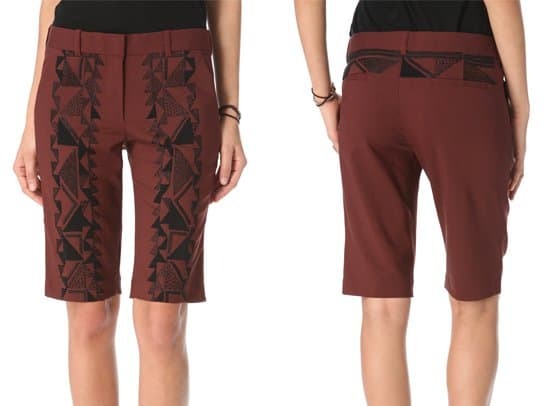 A soft leather band trims the waist of these high-waisted shorts from Alexander Wang. A pair of leather spants with a pure retro appeal, cut with a long rise and extended inseam for a modern take on an old-school profile. 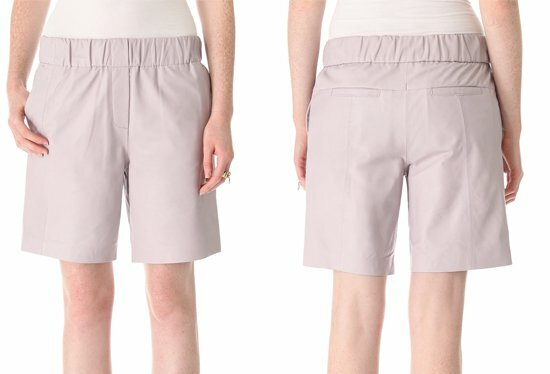 Deep pleats lend soft volume to a pair of crisp plaid shorts. 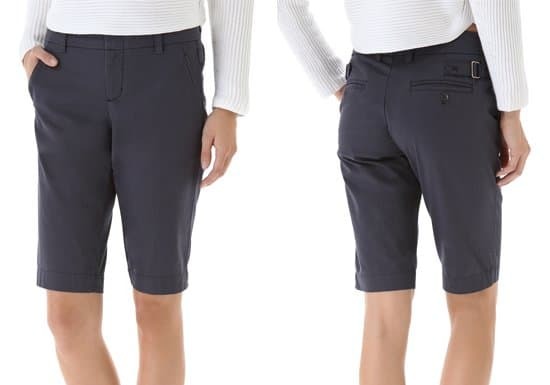 A classic pair of 4-pocket military shorts in comfortable stretch twill styled with buckles at the waist for a modern touch. Go old school with these pants. Wear them with a simple shirt, and drape pullover sleeves over your shoulders. Pair them with oxfords or tennis shoes, and you are great to go!